Creative February 2019 has started strong. I am pleased that many artists from all over the globe have joined this humble project, and are inspiring me everyday to do something creative. If you are on Instagram or Facebook, just search for the hashtag #CreativeFebruary to see all the great works being produced. Will you join us? What will you create this month? 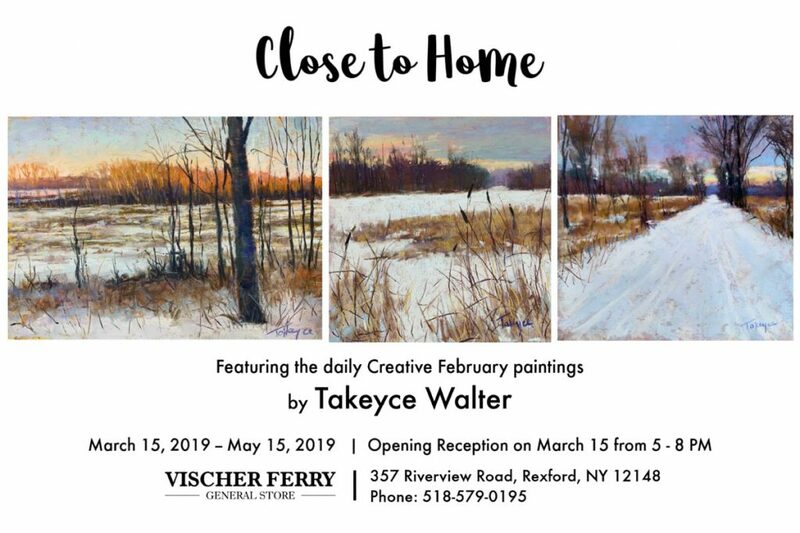 I am also happy to announce that all my paintings created during the month will be exhibited at the Vischer Ferry General Store in a show titled “Close to Home”. The opening reception is on Friday, March 15th from 5 – 8 PM. I hope you can join us.